Note: Some of this content is taken from a private masterclass available to members of The Abundant Artist Association. Not only can these negative art show experiences harm your morale and make you question your abilities, but they can also make a serious impact on your business. Too many bad shows in a row, and you may find yourself in a bad way. For more specifics on the signs of a bad show, see Is an Art Show Ever a Bad Idea? Before you make the decision to pay the application fee for a new show, there are two kinds of questions to ask. The first group is questions to ask yourself about your art, your business, and your goals. The second group is questions to ask specifically about the art show in question. Once you’ve answered these questions, you’ll be in a position to confidently decide whether or not you should attend any art show. What are my personal goals/reasons for exhibiting in this show? Are they in alignment with my business goals? Take a close look at your reasons for wanting to exhibit- is it a show you always imagined yourself being a part of? Do you have artist friends who speak highly of the show? 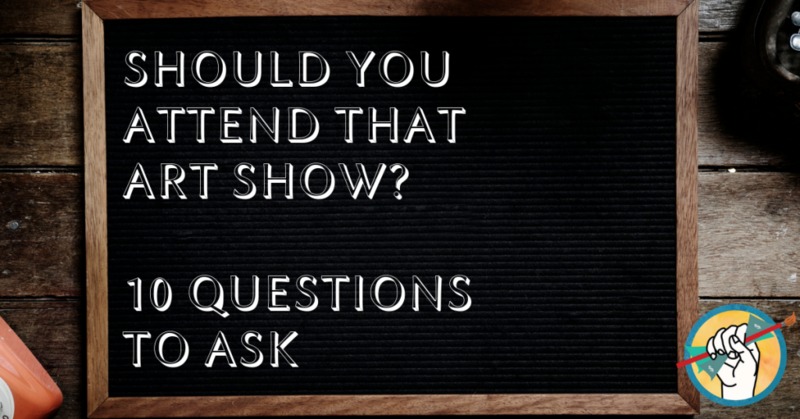 Have you attended the show but never exhibited before? None of these reasons are wrong, but you need to be aware of any emotions that may be underlying your choice to exhibit and whether they serve the ultimate goals of your business. Ultimately exhibiting should be a practical business decision and not just an emotional one. What are my business goals for attending this show? How many new prospects do you hope to come away with? How much profit do you hope to make? Can I afford it? Art fairs and shows can come with a lot of hidden costs. Make sure you know how much an art show costs before you apply. Am I prepared, or can I get prepared in time? Do you have enough original & print inventory in stock? Are you prepared with an effective means of capturing contact information for your new prospects? Do you have a way to accept credit cards? Do you have signage and booth materials ready to go, or can you have them ready in time? Do your homework well in advance of deciding whether to exhibit. Reach out to the art show itself to answer these questions, and if at all possible, find artists who have shown there before and would be willing to share their experiences with you. Where is it located? Can you afford the costs of travel, lodging, and food? Is it being held in a place likely to garner lots of attention, foot traffic, etc? How old is it? How long has the show been around? Is it a brand new show that no one knows exists, or is it a highly anticipated annual show with lots of advertising in advance? How are they advertising? Is the show putting a significant portion of their budget toward making sure people know it’s happening? Nothing is more demoralising than crickets at a show opening. Is there a limitation to the medium, style, theme of art being shown? How much does it cost, and does the show take a commission? Once you’ve determined whether the art show is a good match for your goals, your art, and your budget, you can move on to the planning. Planning for an art show of course involves preparing your budget, your booth materials and your artwork. But just as important, if not more important, is how you plan to follow up with the prospects you connect with at the show. 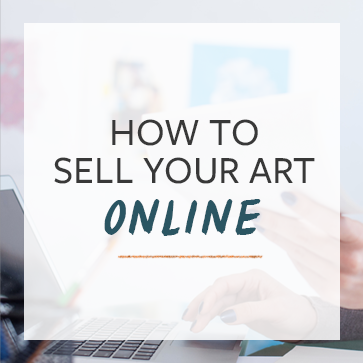 For more essential tips on preparing for art shows, check out The 3 Most Important Tips for Selling at Art Shows. What criteria do you use for deciding which art shows to attend? Let us know in the comments! I look to see who is jurying a show if they do similar art. I do realistic paintings, so I find a judge who paints impressionism is not likely to get me into the show or give me a prize. I have not found street shows profitable, but now that I have a novel to add I am trying them again. I also think I did not have enough prints in the past for street or fair shows. One thing that would be helpful is to have a point by point action of what this artist did starting with his first show and what he took to it as he moved to higher levels of income. Your female artist 55, disabled, with son and mother story was very helpful we need more of those.